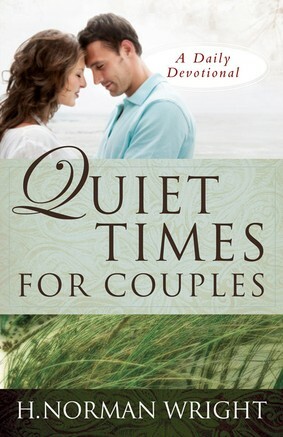 H. Norman Wright In the bestselling daily devotional Quiet Times for Couples (more than half a million copies sold), noted counselor and author Norm Wright provides the help couples need to nurture their marriages. In just a few moments together each day, couples will discover a richer intimacy with each other and with God. They are encouraged to share their fondest dreams and deepest thoughts—creating memories in these quiet times together. A couple will look forward to closing the doors on the frenzied world and taking turns reading the daily devotions. The Scripture verses and meditations guide them in applying God’s Word to their lives and marriage, and the daily discussions will fill their relationship with a new expression of God’s promises and an everlasting love toward one another. This is the perfect gift — thoughtful and inspirational — for all couples at any stage of life and relationship. This inspiring devotional has sold over half a million copies and is now available in trade paper.